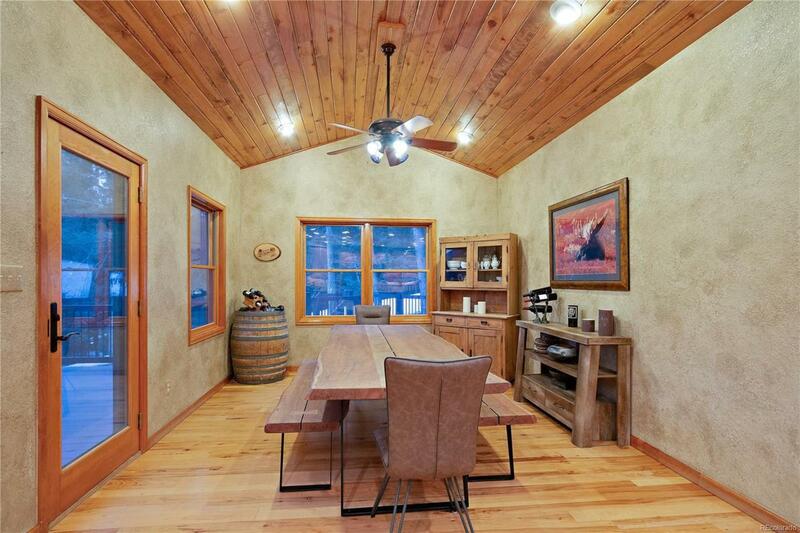 Perfect mountain-style home with just the right amount of rustic touches. Ranch home has all your primary needs on one floor. 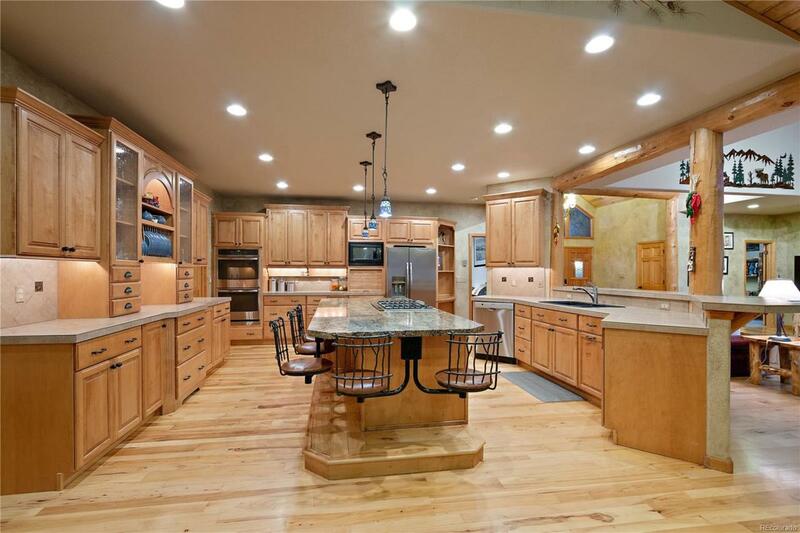 Enjoy a HUGE chefs kitchen that offers an enormous island with floating bar stools. This is a fantastic home for entertaining from the new deck to the open floorplan to wet bar area. 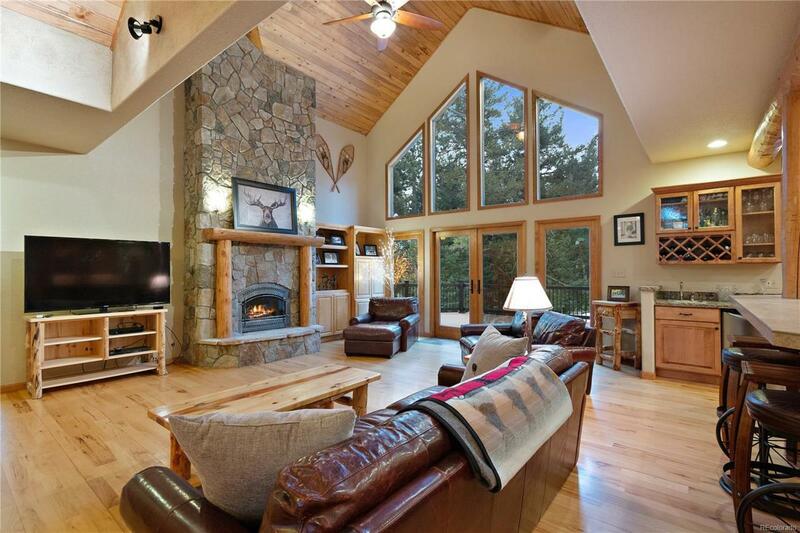 Great room offers a two-story gas fireplace with stone and log and captures amazing private, forested views. The large pantry, mud room and laundry rooms with dog run will be the envy of many. A main level master with spacious 5-piece bath. 2 additional bdrms and office make this a home you can age in place in. The lower lvl walk-out has a large family room & media room that opens out onto new stamped concrete patio. A cozy reading room & additional bedrooms complement this area. If the 3-car garage isnt enough there is a massive storage room with utility sink in the bsmt. 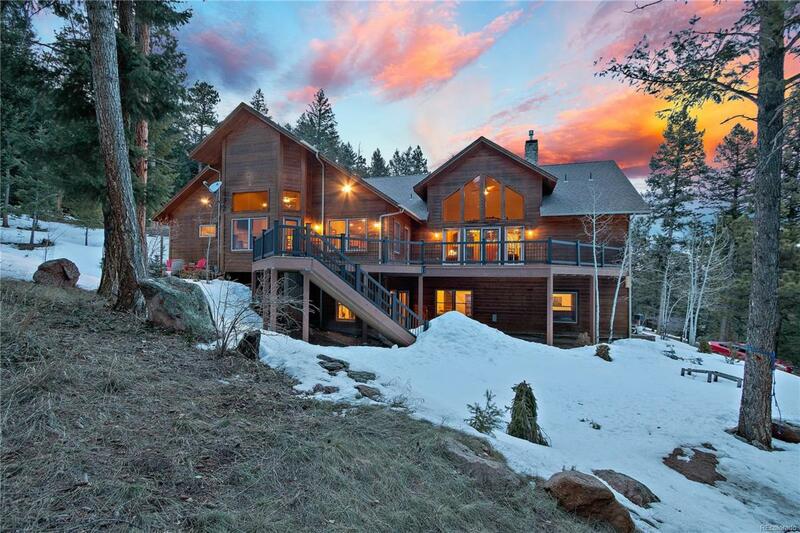 The home offers warm pine ceilings, radiant in-floor heat, log touches throughout & paved drive.